written by P. Manzotti, C. Millar, R. Gibbons, D. Hanke, K. Starkowski. 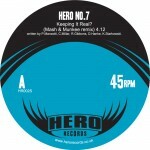 Hero No.7 return on their own Hero Records imprint with a brand new remix of “Keeping It Real?” by Germany’s breaks superstars Mash & Munkee. The original version of “Keeping It Real?” was a bona fide b-boy classic, gathering support from top international DJs such as Coldcut & Andy Smith, and was featured alongside Eric B & Rakim, The Roots & The Herbaliser’s “FabricLive 26” mix-CD. It was also used by champion breakdancers the Bad Taste Cru when they represented the UK at the 2008 Battle Of The Year World Finals. 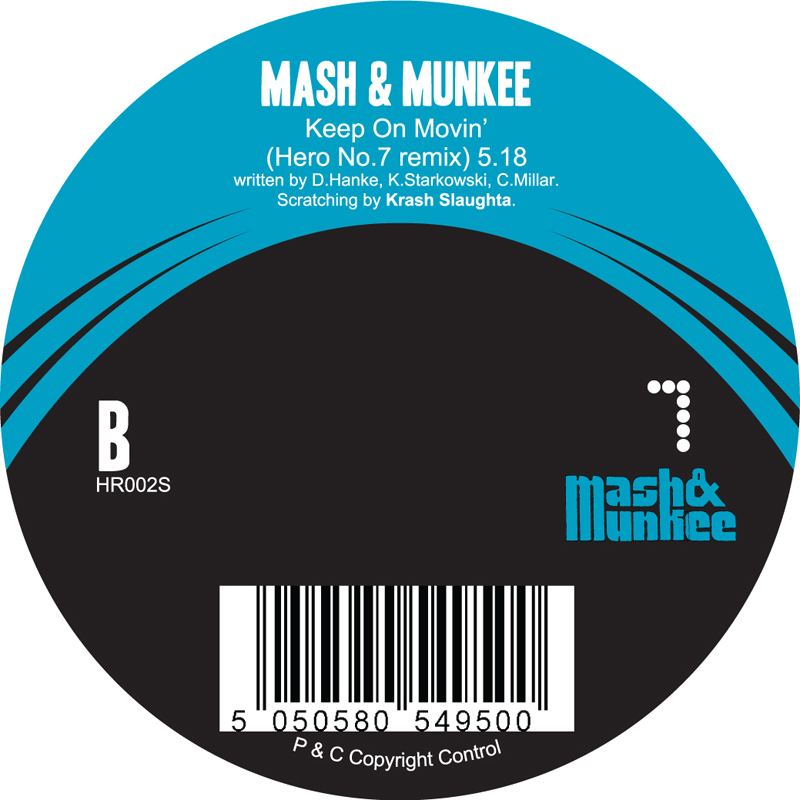 This remix for 2011 sees Mash & Munkee (aka Unifairfly / Renegades of Jazz and Deli-Kutt) turn the notch up and take the track into nu-funk territory with new drums, guitars, fat horns and swift scratchimg. In a remix exchange, Hero No.7 have in turn reworked Mash & Munkee’s track “Keep On Movin'” and turned it into a cut’n’paste extravaganza, stripping back the original track to its musical roots and topping it off with heavier breaks, percussion and vocal samples. The track is topped off with some deft turntable action from legendary scratch DJ Krash Slaughta (II Tone Committee / Monkey Mafia / Killa Instinct) who expertly cuts up more musical delights. Two sides of dancefloor b-boy funk guaranteed to rock your party. HR002S is available via Kudos Distribution and Juno Download. 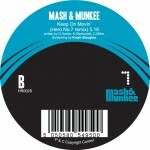 Mash & Munkee (who have received a lot of support from the likes of Craig Charles [6 Music] in the past 12 months) have their “Wake UP” EP currently available on the Backslide label, “The Good Vibe”/”Sunny Day” is out now on Jack To Phono, their “Work It Out” EP is out on Funk Weapons and they are currently working on their debut album.Krash Slaughta’s “Plans For An Interplanetary Bust” EP featuring Bandog (Killa Instinct / Monkey Sons) and Remarkable (Deliverance / Monkey Sons ) is out now on Superrealistic Records and his “Battlescratch Galactica” EP (a 7 track, vinyl-only EP of mixed up space funk, and hip hop breaks featuring “Scratch Wars”, a Star Wars themed battle track and “Dr Ska”, a fast paced breakbeat / ska inspired version of the Doctor Who theme) is now available on Pitchform Records.